I’ve always been thankful for my imagination. As a child I never felt the dull ache of boredom that many others did. I felt like I could always escape in my mind to imaginary worlds and futures that didn’t yet exist. I remember staring out the back window of my parent’s brown-and-white station wagon when I was 8-years-old. As always when I was blessed with a long ride in the car, I’d sink into my mind and imagine all kinds of fascinating adventures. I had this insatiable desire to find little “wormholes” in time and space that would take me from one century or location to another. I imagined meeting my grandmother when she was a child and working on her family farm with her. I would be able to ride a horse and feed the chickens, but then at night I would go back through this wormhole or time machine and get to my own bed with my favorite teddy bear. My mind quickly drifted to another subject…”What is time anyway?” I wondered, “Who invented it? If it has always existed then who created it and where did this entity come from?”. The questions and musings looped through my mind and branched out into other questions and ponderings. All children are blessed with an imagination. We’re all curious about “What if’s?” when we’re young. But while some children veer into a desire for the tangible and real, others seem to perpetually clasp that link to the unknown and the impossible. 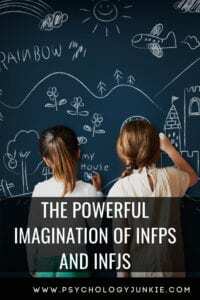 INFJs and INFPs seem to be two types that have an irresistible urge to imagine and explore things that many other types ignore in pursuit of more realistic experiences and pursuits. I still wonder about time, where it came from, how it began and if it will end. I went through several years of my life (not healthy years, mind you) where I preferred to live in an imaginary world rather than the world right in front of me. That was probably because the world around me was too traumatic to deal with or accept so I needed an escape. INFJs and INFPs (as well as ENFJs and ENFPs in many cases) are drawn inward towards quiet reflection and imagination. They yearn to explore unseen territories or create new, lush worlds in their mind. They question the concrete and the tangible that so many other types take for granted. Their minds are filled with ceaseless wanderings into fairy-worlds and the fiery pits of hell, always searching for some grand meaning, purpose, or simply an escape from a sometimes mundane or bleak existence. I’ve spoken with countless INFPs and INFJs who spend hours imagining, questioning, theorizing, and wondering about things that are often laughed off as fanciful or “unrealistic”. Especially in childhood, INFs are drawn to the fantastic realms of mythical stories and legends that loose them from the confines of the real world. Why Are INFJs and INFPs So Guided By Their Imaginations? While intuitives are certainly not better or more advanced than sensors, the world of “could be” and “may be” is more appealing to them than the world of “what is” or “what has been”. 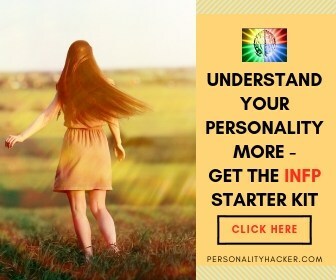 INFJs and INFPs combine their intuition with feeling, a preference which tends to give them empathy, idealism, and an understanding of people and their values. NF personality types blend imagination with a nuanced view of humanity to come up with idealistic visions and dreams for the future. Imagining, conceptualizing, “daydreaming”, all these activities give INFPs and INFJs energy and a sense of being alive and free. INFPs are often called “Idealists” or “Dreamers”. They care deeply about causes, virtues, and values that are important to them and are compelled to stick up for the underdogs of the world. They are also naturally imaginative, exploring fictional worlds in their mind and looking for patterns and themes in the real world that help them understand humanity better. They trust their ability to see the big picture, to hypothesize, and to think creatively to find solutions, ideas, and possibilities that stretch beyond the bounds of what we know. Almost everything they imagine and aim for is deeply personal and involves improving the world we live in. INFPs use Extraverted Intuition. INFJs are often called the “Mystics” or “Seers”. While not literally psychic, INFJs conceive symbolic or novel ways of understanding the world and the universe. They get a rush of energy from imagining the future and how things will change and transform. They are always trying to decipher what will occur and when, and they seek hidden meanings and unknown possibilities. They too are driven by empathy and a desire to make the world better for people. Their plans and ambitions often involve reaching goals that will improve life for others. INFJs use Introverted Intuition. You are Driven by Possibility and Potential. You see the world around you and imagine limitless possibilities related to the things you see and experience. A beautiful rock might make you think of castles and islands and gemstones in another world. You Avoid the Conventional Approach to Life. You like to think outside-the-box and imagine new, innovative ways of doing things. You are Drawn to the Astract More than the Tangible. Concepts, theories, stories, and possibilities entice you more than real-world objects and experiences. You Relax By Envisioning and Imagining. For an INFP this might mean creating an inner world that is so detailed and lush that the real world seems dull in comparison. For an INFJ it might mean imagining all the ways a scenario could play out then slowly discarding all the scenarios that don’t seem likely until you have one “most likely” possibility. Create a fairy tale, ghost story, or fantasy story. Take away limits and external boundaries. What would happen? Imagine how everyone you know things about one topic. Get yourself into their shoes. Why do they think the way they do? What is their perspective? Spend some time in a quiet place each day and let your mind wander. Don’t control your thoughts. Afterwards, write down anything unusual or interesting that came to mind. Read stories, look at art, write poetry. Reflect on what things symbolize to you. Is your imagination a driving force in your life? Do you have any experiences or insights to share? Let us know in the comments! 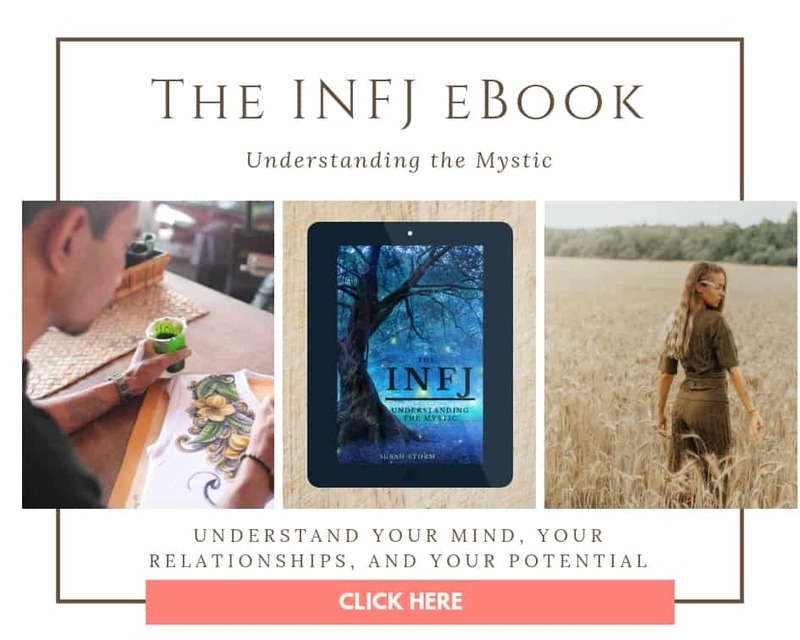 You can also check out my eBook, The INFJ – Understanding the Mystic. This article contains affiliate links. I only recommend products I truly believe in. I love receiving your posts, Susan. Having just recently found out that I am an INFJ , your words have helped me to understand more about myself. Thank you. Very interesting read. After taking 2 tests I’m either INFJ or INFP. No matter which I am, I can absolutely attest to the fact that I have a wild imagination. And that can go for anything, any topic……..if I’m being told a story & the person says “imagine the worse/craziest thing that could’ve happened” to prepare me for what’s next, my imagination will always go too far!!! After, I may even share with them what came to my mind & they’re typically shocked that I took it so far. But to me, that really is the worse/craziest/most bizarre event that could happen. To think of it I DO NOT like to embellish my own stories, I like to keep it real. So when there is something out of the ordinary happening in my life, nobody questions it or thinks that I’m bragging just for the sake of bragging.